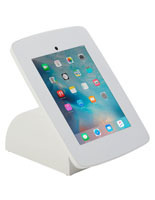 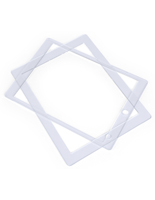 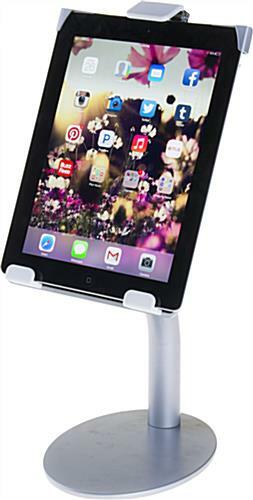 A silver iPad countertop mount is a secure tablet display system for commercial settings! 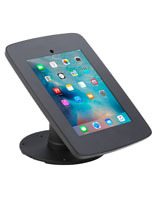 Included with the purchase of the stand is an optional locking security kit that fixes over the enclosure to keep the tablet anchored inside. 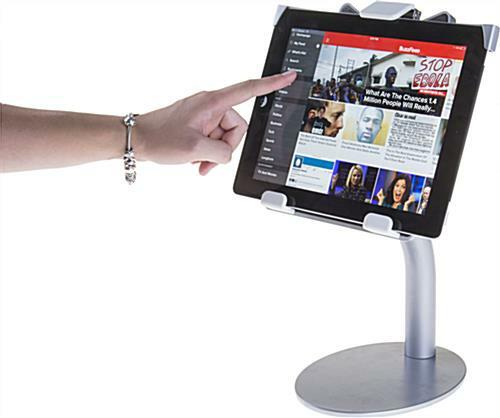 The bracket of the secure iPad countertop mount stretches using a spring system between 6” and 10” making this kiosk a universal tablet display. 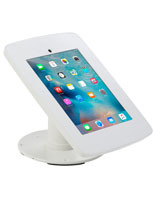 With non-defined edges, the enclosure provides the option of mounting in portrait or landscape for the ideal orientation of your accessory. 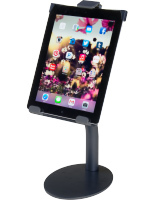 A hidden cable management system hides messy wires from sight with this iPad countertop mount An exposed home button on the stand provides full accessibility to the tablet’s software and a tilting bracket offers multiple viewing angles. 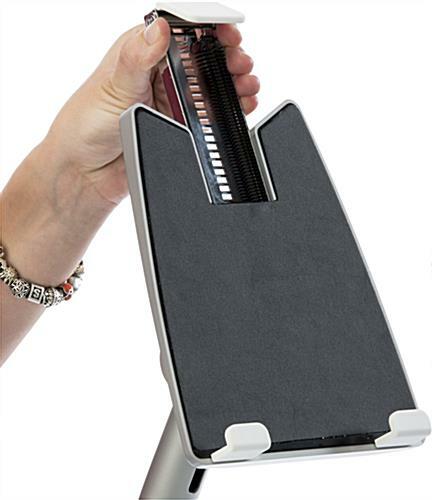 6.5" x 14.0" x 20.0"
7.0" x 8.0" x 1.5"